Nothing much to do on a rainy night in Åkersberga, except catching a train for Österskär. 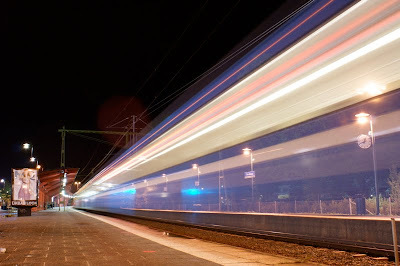 Although in your photograph it looks a bit like a train "back to the future"...! Nice shot, as always! :) More like "back to the home base", in this case. I only got two decent shots from that rainy night excursion, this being one of them.